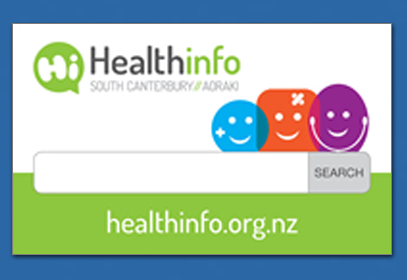 District Nursing is a community based service within South Canterbury DHB which employs Registered and Enrolled Nurses who work across the following areas: Timaru, Geraldine, Temuka, Waimate, Fairlie and Twizel. District Nursing staff provide specialist skills to assess and treat people who have had a medical or surgical event to maintain, to regain their health and functioning or to provide care and support at end of life. Wound Assessment Clinic is nurse led. The District Nurse carries out ulcer assessments (with Doppler studies) and provides ongoing treatment. Wound care management – the ongoing assessment and provision of a wide range of treatments for complex wounds. IV therapy - administered at home or in our afternoon clinic. Dedicated afternoon clinic - providing treatments to patients who are able to attend. Catheter requirements - regular catheter changes, providing supplies and support. Oxygen therapy - setting up of oxygen machines, regular reviews and ongoing supply management. Education to other health professionals. Assessing new palliative patients, providing ongoing support, liaising with the Hospice, providing referrals to other health professionals, setting up with equipment in the home, setting up of syringe drivers for symptom management and end of life care, support for patients in rural and outlying areas. Learn more about Palliative Care. Pre and post operative services, management of stomas for patients in the community, ongoing supply management, patient and health professional education, regular patient assessment clinics, support for patients in rural and outlying areas. Continence services - assessing for continence products, managing continence issues, management of catheters, ongoing support and supply management for patients, support for patients in rural and outlying areas. Personal cares - showering assessments and ongoing personal hygiene care. Meals on Wheels - assessing for and implementing Meals on Wheels. Domestic Assistance - assessing for and implementing Domestic Assistance. Referrals are received from GP's, other Hospitals and Primary Care Services.